Insights from Borrell Associates are always thought provoking and can also be shocking for the many who may think short term and avoid any long term planning. On Monday, the consultancy group which focuses on changes in the advertising world, revealed their predictions for changes in media and how media may look in 2024. I was one of the 600 plus people who joined the webinar. Before concluding these guys are crazy, think back ten back years and consider the technologies and media we use today that weren’t around in 2004, like an iPhone. I depend on mine more and more each day. I’d have a hard time getting by without it. The iPhone was introduced in June of 2007, a little over seven years ago. It just seems like a long time ago. A lot has changed in 10 years – more than we can remember and more than we could ever have dreamed back then. The year 2024 seems far away, but it’s not. Here are some of Borrell’s media predictions. Paper coupons in the Sunday newspapers will go away. Today coupons make up 14% of the advertising revenue of a newspaper. Coupons will move to your mobile device, something already happening. And with coupons and its revenue disappearing from the Sunday paper, so will newspapers. The prediction is only a dozen daily newspapers will exist in America by 2024. You read the correctly. A dozen…as in 12. The digital car dashboard will disrupt broadcast radio and Borrell predicts half of all terrestrial radio stations in America will disappear. Only those with the strongest content, attracting the most valuable audience will survive. Before you deny this, let me show you a few pictures. 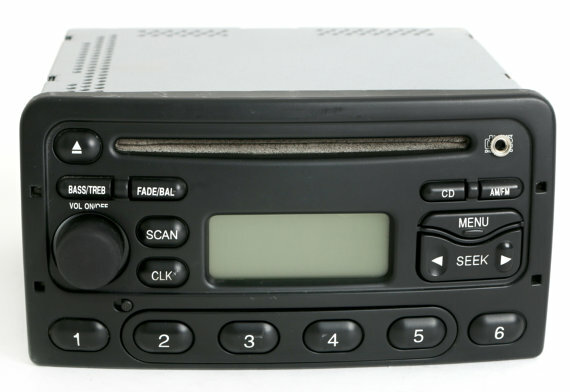 Here’s a car radio from 2004. AM, FM and CD player. Radio had a captive audience 10 years ago. You didn’t have much choice in hearing music, news, talk or sports. Just a handful of local stations and maybe XM or Sirius. You were captive. 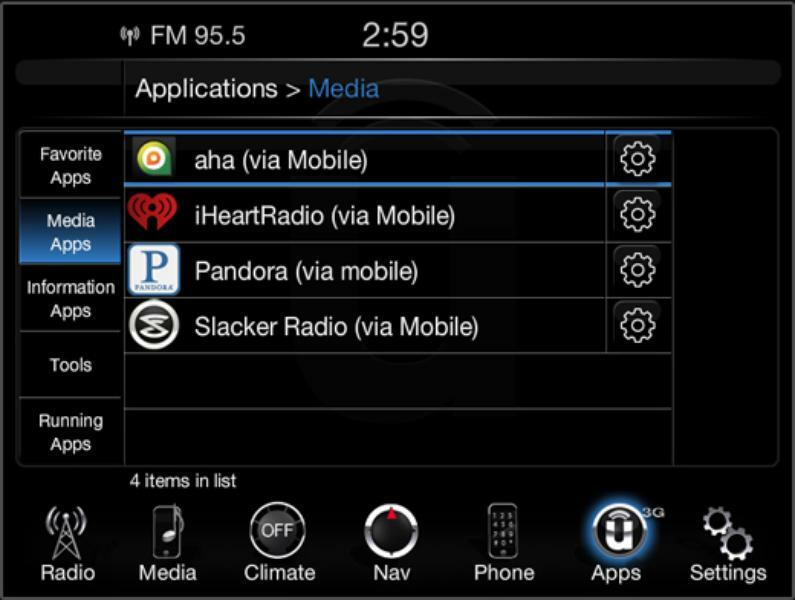 Below is a connected car dashboard from a 2014 vehicle. Note the additional options vying for your attention. Internet pure-plays, Apps, other media options and by 2024 even more options. Many more. Radio no longer has a captive car audience and with more consumer choice comes smaller station audiences and smaller aggregate listening for terrestrial radio. I noted in a previous blog there are too many radio stations on the air, selling too many commercials which drives down the value of the facilities and the inventory. The future has arrived and even more options for the consumer are on the horizon. The future is no brighter for television stations according to Borrell, as by 2024 the Federal Communications Commission or F.C.C. will begin (as they put it) “yanking” licenses. This month HBO said it would begin providing content through HBO-GO. What I didn’t see in any article about this was how HBO, with its great content, will now bypass the cable and satellite companies that serve as its distribution platforms and are now go straight to the consumer. If a major network like HBO will and can do this, it’s only a matter of time before ABC, CBS, NBC, FOX and the countless other networks bypass local TV affiliates and cable and satellite providers and go straight to the consumer via digital media. By 2024, 95% of all advertising will be purchased through programmatic sites as advertisers bid on available inventory, eliminating the need for all but a few account executives. Broadcast sales will not be a growth career. Chances are you have purchased merchandise online and you’re comfortable doing it. This will be no different. This morning I heard Dallas Mavericks’ owner Mark Cuban on ESPN’s Mike and Mike show. He said he loves change because it brings opportunity. Content is king and content that can be monetized will lead all kingdoms. This is where the opportunity lies for you…for me…for all…as content producers. Consumers have never been in love with the distribution channels of content. They are in love with the content. They are in love with the personalities. It doesn’t matter how the content gets to them today or in 2024. They will find the content they desire. As it was said on the Borrell webinar, control will shift from those that own an audience (i.e. a radio or TV station) to those that influence that audience (content producers). No one is better at creating content than you. The opportunity is here. We need to recognize the changes happening around us today and in the next 10 years. Here’s to a bright 2024. It’s coming faster than you think. I guess 2024 came early to our house. We haven’t had a daily newspaper in the house in 10 years. All of our TV gets DVRd and the commercials are zapped with fast forward. The only movies we see are streaming or DVD. We decide what we watch and when we watch it. And the radio? The AUX feature lets us play the radio from the phone thru the auto sound system. I’m waiting for the glasses that let me integrate everything into a single platform. That’s the real future. You may not agree with everything Darryl says but a good chunk of what he is reporting from Borrel is already happening. AND that is exactly why we founded Synchronicity.co : to be on the side of radio 100% and help terrestrial radio converge into the interactive, data-driven, multimedia future. We are dedicated to that mission and are actively accomplishing everything we have set out to do.